Bob Telford has been cast in various roles, including the role of Max (the man in the cave), for the reading of the “Trick of the Light” script. The script was chosen for inclusion in the “Green Screen Program – Film & TV Showcase” portion of the prestigious Sci-Fest LA. 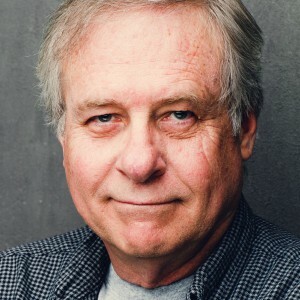 Bob Telford, an award winning actor/director has spent the last 38 years working in theater, commercials, TV & Film. A veteran of the 70’s LA improv scene and a regular on The Dr. Demento Radio Show, Bob got his first professional acting job doing voices for Disney Children’s records. TV credits include Parks and Recreation, Roseanne, Reasonable Doubts and Young & The Restless. Film credits include The Best of The Best, Riding With James Dean, Wild Horses & Butterfly Caught. Bob appeared in Fierce Backbone’s 2015 Hollywood Fringe offering, What The F*ck. Thoughts on the Trick of the Light script: It’s not often an actor gets the chance to play a man in a cave, music booking agent, man in a diner and old man in one script. To get to do it as a part of Sci-Fest, the best! Shane Brady is from Palm Harbor, Fl. 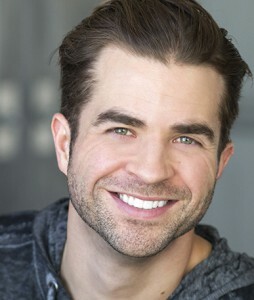 A proud graduate of FSU theatre program, Shane has performed on stage in London, Chicago, and LA. TV: GO ON, THE MINDY PROJECT, THE CRAZY ONES, KICKIN’ IT! He is currently in an Apartments.com commercial with Jeff Goldblum.